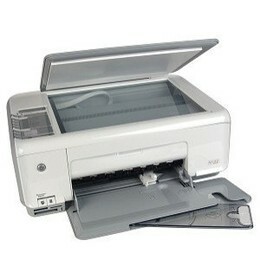 This printer may suit basic needs but for even slightly bigger jobs, look elsewhere. Home office work is growing increasingly complex, and having a basic printer may not cut it these days. The HP C3140 PhotoSmart All-in-one Printer combines a scanner, copier, and printer into one machine to cover all of your home office needs. For $69 it’s a simple solution to most of your home office problems, but the cheap price means a cheap product. Don’t expect incredible quality from this one. I got this printer back when I was a college student, so its main purpose was printing out essays or assignments for class. At the time it worked fine; I had very few demands of it anyway, so as long as it was printing well I was satisfied. And even now, a few years later, the printing side of the machine works fine. I don’t use it as often as I once did, but it’s easy to quickly hook it up for one quick print job every now and then. However, on the few occasions that I needed to use the scanner or the copier, the machine became a complete mess. Even early on the scanner was a pain to use. It’s pretty slow and doesn’t give you an image of the scan until after it is completely finished, so you can’t really gauge how well it’s doing while it’s working. I kept the printer in great condition and there were never any scratches or streaks on the glass surface, but more often than not it would come out with blurred images, or streaked, or would crop off edges that I didn’t want it to. Now, a few years after I bought the PhotoSmart Printer, the scanner just doesn’t work at all. Every image is a blur of streaks despite the glass and paper being completely clean. This all-in-one printer isn’t built to last. One redeeming feature of the HP C3140 is that it comes with a simple editing software program that is fairly quick and easy to use. If you don’t have Photoshop, or if you don’t know what Photoshop is, HP PhotoSmart Editor offers the basic functions of an image editing program such as cropping pictures or removing red-eye. Like the printer itself, the editor is really meant for simple jobs; I mainly use it to easily resize photos or crop images down to specific sizes. If that’s all you really need it for, it can be quite handy. With the HP C3140 PhotoSmart Printer, you’re really getting what you’re paying for: a cheap solution to basic home office needs. But at the end of the day, this all-in-one printer is more hassle than it’s worth. The easy use really only extends to simple print jobs while the copier and scanner can be headache inducing, if they are even working at all. 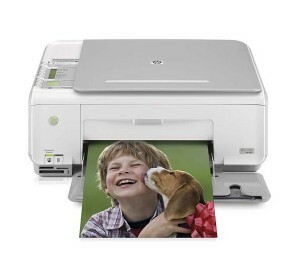 Modern printer models such as the HP Officejet 4500 or HP Officejet 6500A provide the same service with the addition of faxing for the same low price.